Burglary and Robbery Charges in California | Bail, Jail & Arrest Info. Burglary (Penal Code section 459), is also often called “breaking and entering,” and an arrestee may be charged, even if there is no evidence of forced entry into a building. California law defines burglary as “entering a structure with the intent to commit a theft once inside.” Residential burglary can be considered a strike under the three strike laws. Robbery (Penal Code Section 211), occurs when a defendant uses threats or violence, fear or force to take something from someone else. Both those who commit burglary or robbery may be charged with either a misdemeanor or felony, depending upon their situation. The sentence and bail amount will determined the nature of the crime. For any information regarding someone arrested for Robbery or Burglary, call SCV Bail Bonds now toll-free, nationwide at 877-422-4591 (877 4 BAIL 911). At SCV Bail Bonds, we understand that anyone facing these very serious charges will need to get out of jail, so they can seek legal council. Please don’t hesitate to call us if you or someone you know has been arrested for burglary or robbery, so we can discuss your situation. Our caring, licensed agents take all the time you need to explain the bail bond process. We are open 24/7 and we are familiar with every jail in Southern California, Ventura County, and the rest of the state. SCV Bail Bonds deals with all types of 458 – 464 PC charges: Business and residential; armed and unarmed. We will send you our easy bail bond contract by fax or email, within minutes. You can even visit us online at our website to download it. Or, if you prefer, we’ll be happy to deliver the contract in person at your home, office, the jail – anywhere that is convenient for you. 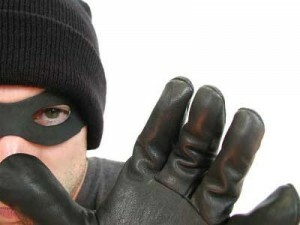 Burglary and Robbery charges have various degrees of seriousness, so they can range from misdemeanors to felonies. The type of charges depend on the circumstances surrounding the case, and the defendant’s prior criminal history. For first degree residential burglaries, defendants can garner two, four, or six years in the California State Prison and a maximum fine of $10,000. Anyone convicted can face up to six years in a California State Prison. If a defendant is convicted of second degree burglary as a felony, they can face sixteen months, or two or three years in the state prison and the same maximum fine. A second degree misdemeanor burglary conviction garners up to one year in a county jail and a maximum $1,000 fine. If, during a burglary – whether it’s residential or commercial – weapons or explosives or torches where used to gain entry (to open a safe, for instance), defendants can be charged with a felony. They will face three, five, or seven years in the state prison. If great bodily injury was inflicted on a victim, the perpetrator can face an additional and consecutive three to six year state prison sentence, depending on the nature of both the injury and the victim. In California, bail amounts are set according to each California County’s Bail Schedule so they will vary. A judge can also set bail at or above the amount, or even refuse bail in some arrests, particularly for repeat offenders. For example, for 1st degree burglary, San Luis Obispo and San Diego counties can set a bail amount of $50,000, but in Los Angeles County, an arrestee must go to court before getting their bail set. If you are in doubt about the bail amount, please contact SCV Bail Bonds. We know the burglary and robbery bail amounts set in different counties so we can give you solid information about how much the bail will be in your particular case. At SCV Bail Bonds, we offer 24 hour bail assistance with all California charges and flexible payment options. Call our experienced, licensed bail bond agents who can discuss each defendant’s unique situation and budgetary needs. We are accredited members of the Better Business Bureau and the California Bail Agents Association. If you wish to see why choosing us can really make a difference in how fast a defendant is released, please visit our bail articles and information page or give us a call. You will always speak with a live, caring agent – never a machine. Best of all, our consultations are always free. SCV Bail bonds is open 24/7, weekends and holidays. We can send you an application by fax, email, you can download them online or we cab deliver them in person. Let us know your preference. Trust us to treat each and every case in a non-judgmental, discreet way. We’re here for you. Call us now at toll-free, 877-422-4591 (877-4-BAIL 911) for more information.